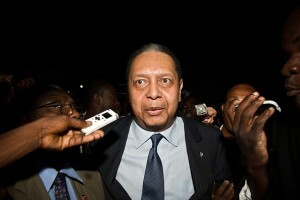 PORT-AU-PRINCE, Haiti–A Haitian judge on Thursday summoned Jean-Claude Duvalier to appear in court after the former dictator defied an order to attend a hearing to determine whether he should again face charges for human rights abuses committed during the nearly 15 years of his brutal regime. 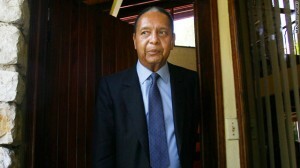 A prosecutor said the judge’s order requires Duvalier to appear in court next Thursday. In an airless courtroom filled with human rights activists, journalists and other observers, magistrate Jean Joseph Lebrun also dismissed an appeal filed by the defense team that sought to take the case to the Supreme Court. Press release from the IJDH. 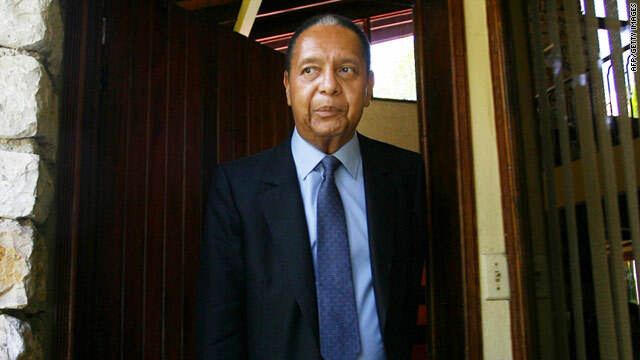 The Bureau des Avo­cats Inter­na­tionaux (BAI), in its mis­sion to defend Haiti’s poor and the inalien­able rights inher­ent to all human beings, con­sid­ers the appel­late court’s reit­er­a­tion on Feb­ru­ary 7, 2013, of the sum­mons to Jean-Claude Duva­lier to per­son­ally appear in court another vic­tory for his victims. A Canadian police officer serving with the United Nations Stabilization Mission in Haiti has been accused of sexual assault. The RCMP says a Haitian woman complained to Haitian National Police that a Canadian police officer sexually and physically assaulted her. Spokesman Vincenzo Pugliese, confirmed the UN is currently investigating the alleged incident. The RCMP says the officer returned to Canada on his own without authorization from Canadian or UN authorities. A spokesperson for Canada’s foreign affairs minister John Baird responded to the allegations in an email. He said the government is taking the allegations very seriously, and said Canada would co-operate with any potential investigations. More than 80 Canadian police officers are working with the UN mission in Haiti. 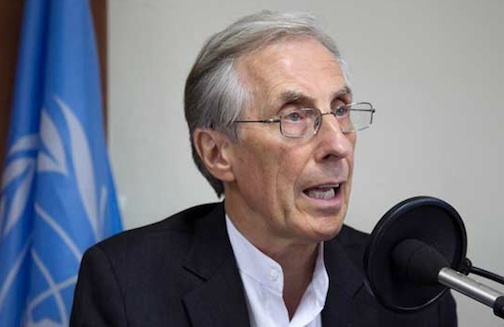 Nigel Fisher has been named the new head of the UN’s MINUSTAH peacekeeping mission in Haiti, Secretary General Ban Ki-moon announced Friday. Fisher, a native of Canada, has served since 2010 as the Deputy Special Representative, UN Resident Coordinator and Humanitarian Coordinator in Haiit. He has also been named as Bans’ Acting Special Representative for Haiti, succeeding Chile’s Mariano Fernandez in both roles. 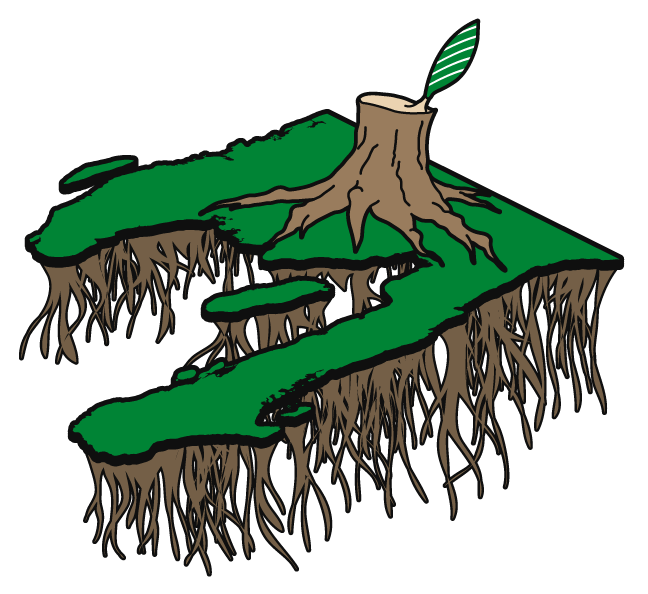 Fernandez’ 20-month term ended on Thursday. “HAITI is open for business”, Michel Martelly, the country’s president since May 2011, likes to proclaim. His government has backed up this talk by making it easier for foreigners to own property and by setting as a goal that Haiti climb into the top 50 countries in the World Bank’s ranking for ease of doing business (it now comes 174th out of 185). 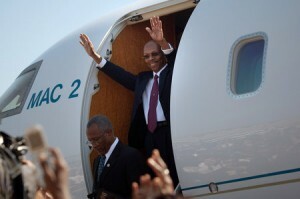 In November the president opened a gleaming arrivals hall at Toussaint Louverture airport. 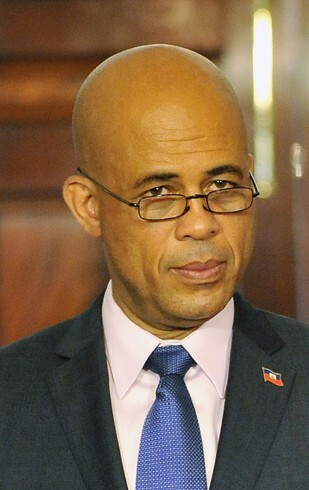 Mr Martelly himself is in such constant motion abroad—courting donors and investors, he says—that his peregrinations and the per diems alleged to be associated with them have become a source of mordant jokes. But gangbuster growth, hoped for as the country rebuilds itself after the earthquake of January 12th 2010 that wrecked the capital, Port-au-Prince, and killed tens of thousands of people, has failed to materialise. In the 12 months to the end of September the economy expanded by a modest 2.5%. It was the second year of dashed expectations: the IMF had forecast growth of 8% in both 2011 and 2012.